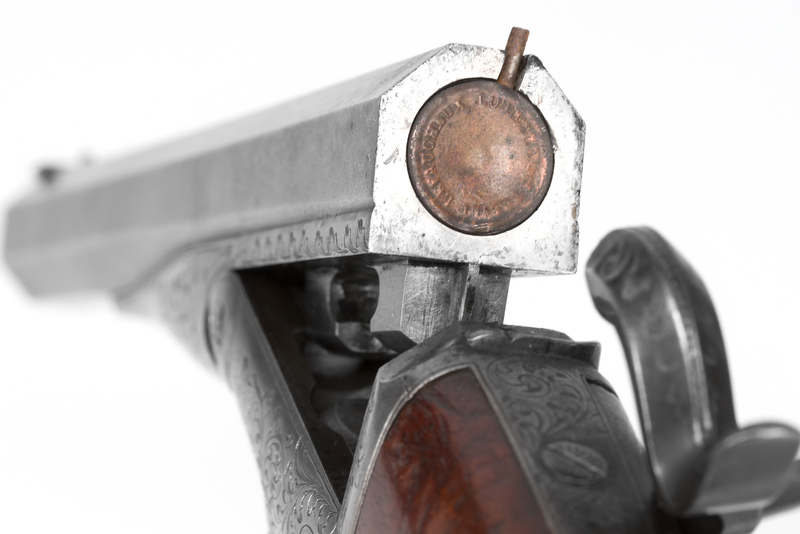 This article will take a look at some of the earliest pinfire pistol cartridges. The best way to explain these will be to look at them with the guns they were designed for. The earliest examples were shotshells that were cut down and loaded with a round ball. 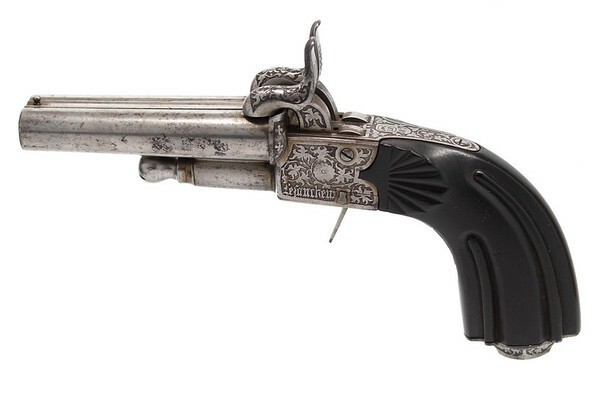 They were made for Casimir Lefaucheux’s first pistol design which followed his 13 Mar 1833 addendum to famous patent for the breech-loading gun design. 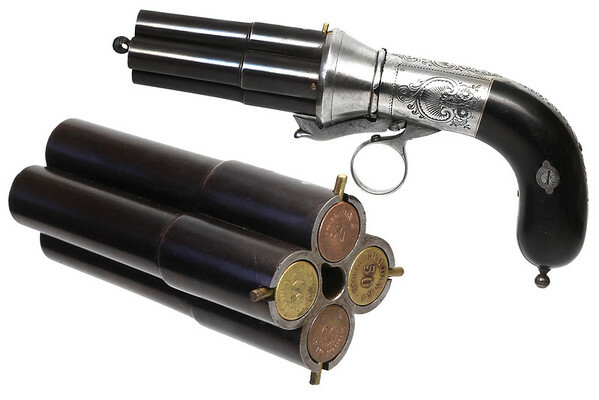 These were essentially just smaller versions of the shotguns he had made at the time. 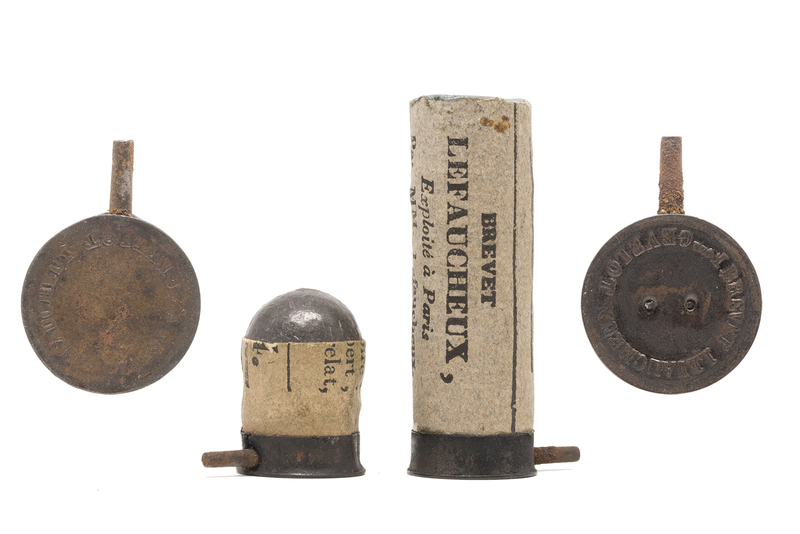 The rare surviving examples of these cartridges and guns seem to mainly be 24g. Other sizes such as 16g with different paper and headstamps may exist as well. Over a decade later, on 2 May 1845, Casimir Lefaucheux patented a design for a pistol with a barrel that rotates 90 degrees to load. 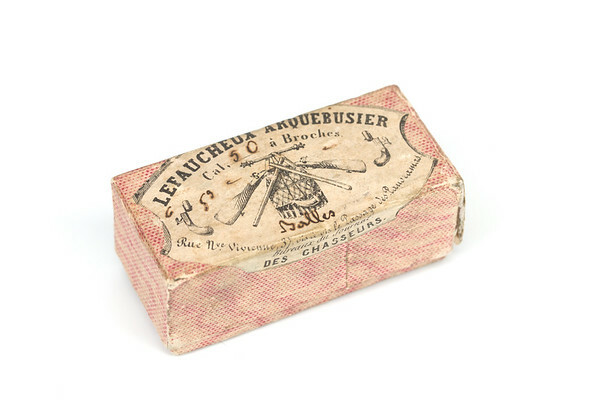 He worked with Jules Joseph Chaudun to make a cartridge for it as Chaudun had recently secured a patent for an improvement to the pinfire cartridge. 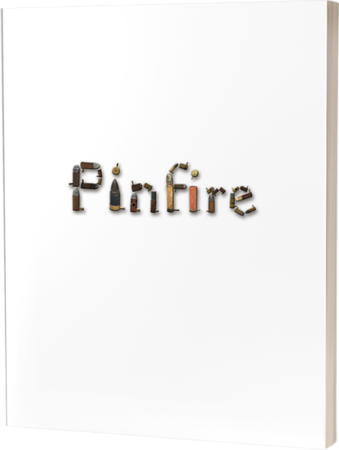 Chaudun made these cartridges in ball loads, shot loads and this candle-flame bullet, pictured. The boxes that these cartridges came in actually picture the single-barrel version of this gun design on the label. The gun was made to chamber a “50 caliber” cartridge. 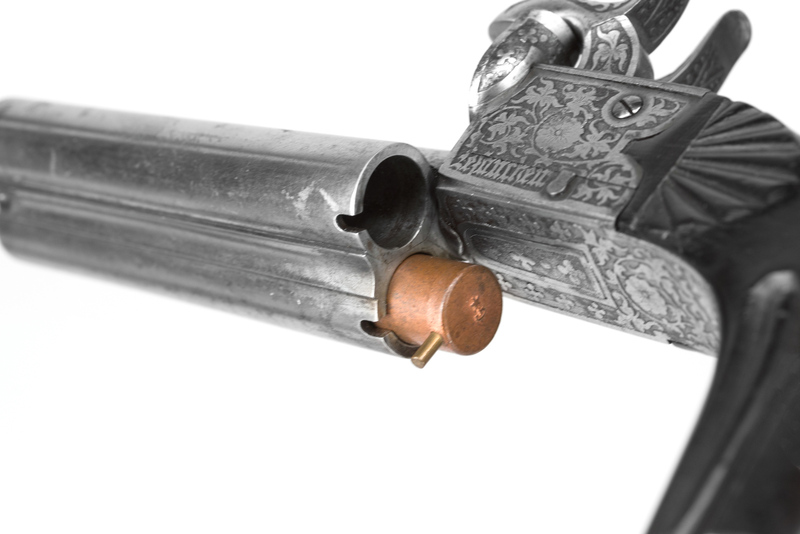 There was also a version chambered for an “80 caliber” cartridge. There had been some speculation over the years as to what this 50 and 80 caliber actually meant and how the measurement was made. Some people have thought it was 50 gauge and others thought it was maybe 50 lignes or points or that it was simply rounding to make it easier. But the numbers never seemed to quite add up. 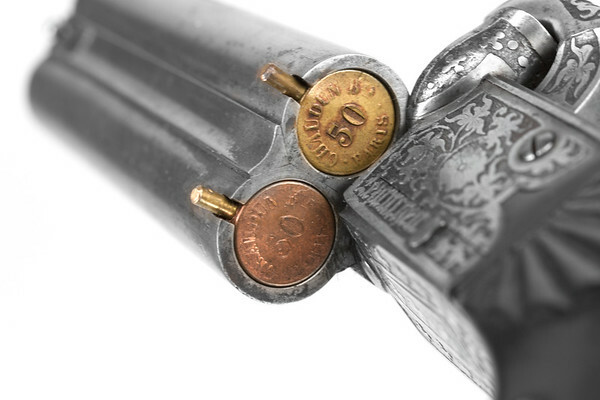 I did a little more research and checked with some people familiar with old measurements and definitely think that the 50 does not refer to the old French ligne. 1 ligne is equivalent to 2.2558291mm so 50 of those would be over 112mm. 50 of the smaller unit of measurement, point, would only make it 9.4mm which is too small. 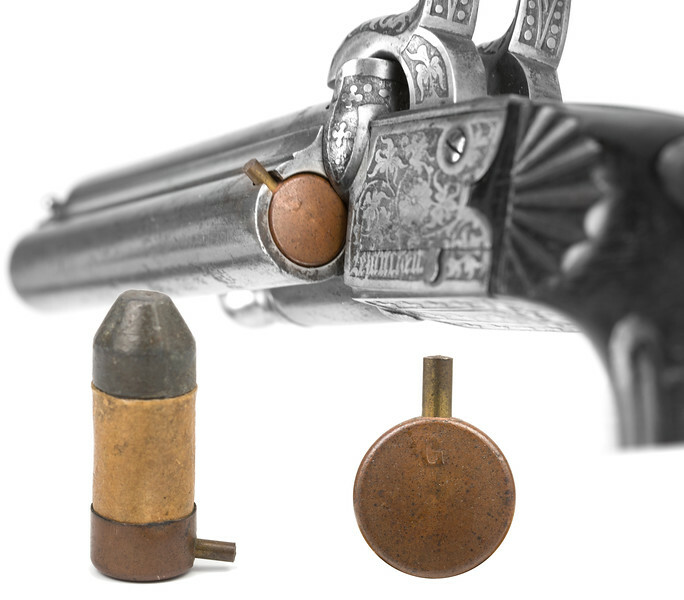 But then I began to think that this cartridge was probably first made with the round ball before the candle-flame bullet so it would make sense that 50 referred to gauge. At the time this was made, cal 50 if referring to gauge, in Paris, would mean that you could make 50 round balls from 1 livre which in Paris (the measurements were different in different cities) was approximately 489 grammes. That would make a single ball have the mass of 9.78g. 9.78g of lead makes a sphere with a radius of 5.905mm which would make the diameter 11.81mm which is nearly exactly the diameter of these cartridges and bore of the gun. This would make the cal 80 version have a bullet diameter of 10.097mm which matches up with guns that exist. So I think this solves the mystery of what the 50 means on these cartridges and boxes. 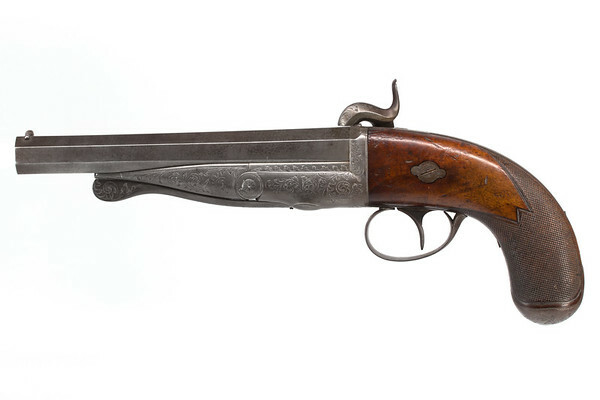 A year later, on 7 Feb 1846 and on 24 May 1846, Lefaucheux had two addendums to his patent approved that covered a new pepperbox style of pistol. 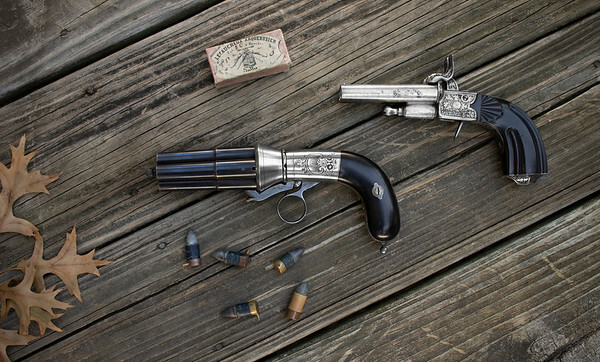 This gun still used these same cartridges. Around this same time period, Gévelot also made a cartridge for these guns. It is thought that he had to wait until Chaudun’s patent expired. Eventually the cartridge sizes became more standardized and the 12mm cartridges would no longer fit these guns.